KINGSTON, R.I. – Aug. 5, 2015 – Two University of Rhode Island education professors and a URI graduate have won international awards for their accomplishments in literacy. 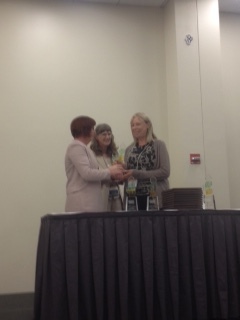 The awards were given by the International Literary Association at its annual conference in St. Louis July 19. Coiro’s award honors reading researchers who have made a significant contribution to research about classroom literacy instruction and technology integration. Coiro, of Quaker Hill, Conn., teaches courses in reading and digital literacy and is an expert in the field of new literacies, which seeks to understand and develop literacy in a digital age. She has lectured from Taipei, Taiwan and Manitoba, Canada to Brisbane, Australia and Mendillon, Colombia about her research on the new literacies of the Internet, online reading comprehension and practices for technology integration and professional development. She recently completed a five-year research project funded by the U.S. Department of Education to develop assessments to measure online reading comprehension to support classroom instruction. Coiro also co-directs the Graduate Certificate in Digital Literacy at URI, a graduate program that allows educators, librarians and media professionals to learn how to use digital media to create learning opportunities for students. Under her leadership, educators and media experts from throughout the world attended the Summer Institute in Digital Literacy at URI’s Feinstein Providence Campus, also in July. Coiro is co-editor of The Handbook of Research On New Literacies and has co-authored a book for classroom teachers, New Literacies for New Times: Teaching with the Internet K-12. In 2011, she won the Early Career Achievement Award from the Literacy Research Association. The following year, she received URI’s Early Career Faculty Research Excellence Award in the Social Sciences, Arts and Humanities. And in 2014, she received an Elva Knight Research Award – with her colleague Carita Kiili of Jyväskylä, Finland – to study how to support high school students as they critically read and write online texts involving controversial issues. Theresa A. Deeney received the Jerry Johns Outstanding Teacher Educator Award for outstanding college or university teacher of reading methods or reading-related courses. Deeney, of South Kingstown, is an associate professor of literacy education at URI, coordinator of the graduate literacy program and director of graduate studies in the School of Education. Her research focuses on pre- and in-service teacher education in literacy and assessment and instructional practices for students who struggle. Her work has appeared in The Reading Teacher, Journal of Special Education and Intervention in School and Clinic, Yearbook of the Literacy Research Association. As part of her work, Deeney directs URI’s After School Literacy Program, a yearlong program run in conjunction with the Graduate Reading Program. Under her guidance, URI students have helped more than 90 children and adolescents in local schools with reading and language difficulties. Deeney is author of Improving Literacy Instruction with Classroom Research. In 2007, she received the Outstanding Outreach Award from URI’s College of Human Science and Services for her work with urban teachers, and in 2015, the Outstanding Service Award. She also received the 2014 Constance McCullough Award from the International Literacy Association for professional development in Kenya as part of her work with the Africa Teacher Foundation. For this project, she helps teachers in some of the poorest areas of Kenya learn instructional techniques for developing their students’ literacy skills. Another award went to Carolyn Fortuna, of Glocester, who won the International Literacy Association’s 2015 grand prize Technology and Reading Award. The award honors educators in grades K-12 who are making outstanding and innovative contributions to the use of technology in reading education. Fortuna is a 2010 graduate of the joint doctoral program in education at URI and Rhode Island College. She attended URI’s Summer Institute in Digital Literacy in 2013 and frequently participates in URI’s Media Education Lab research. She is the founder and director of IDigItMedia.com, which offers digital media literacy and learning professional development to schools and nonprofits. She teaches high school English in Franklin, Mass., and is an adjunct faculty member at Rhode Island College. Pictured above: Julie Coiro (top); Theresa Deeney (middle); and Carolyn Fortuna (bottom). Photos courtesy of URI. Reprinted with permission of the University of Rhode Island. This entry was posted in digital literacy and tagged curriculum integration, digital teaching and learning, media education lab, multimodal, teacher research, URI on August 21, 2015 by c4tuna. Dr. Fortuna integrates critical digital literacy, which is examination of social and cultural issues in the Internet age, into structured reading activities. With a constant infusion of print, audio, digital, visual, and video modalities, her students read intertextually, research across cultures, and compose authentically through individualized, inquiry-based, and collaborative digital literacy learning. 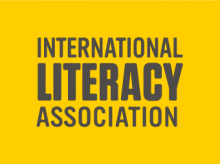 The ILA Award for Technology and Reading honors educators in grades K–12 who are making an outstanding and innovative contribution to the use of technology in reading education. Recognized were two grand-prize winners, seven U.S. regional winners, one Canadian, and one international winner. All entrants must be educators who work directly with students ages 5–18 for all or part of the working day. A graduate of the Feinstein Joint Doctoral Program at URI and Rhode Island College, Dr. Fortuna and each of her students use Google websites to analyze and produce texts. All their websites become filled with short and long fiction, primary source documents, art, Prezis, Quizlets, You Tubes, poetry, songs, film trailers, commercials, podcasts, and even cartoons. She says, “I want to help students to read their worlds and to recognize their capacities as change agents.” This means moving student engagement from recall to critical analysis, digital composition, transformation, and publication. In a unit, students might start with advertisement analysis and continue with digital workshop argumentation. A survey of non-fiction essays can morph into collaborative teaching, and e-learning modules might progress to a study of curated museums of texts. Dr. Fortuna thinks that literacy is socially inclusive, can inspire civic participation, and has the capacity to develop lifelong learning. Her high school seniors build awareness of and forge connections to issues that are a microcosm of the larger society in which we live. For more information, visit literacyworldwide.org. Media Contact: press@reading.org. This entry was posted in digital literacy and tagged curriculum integration, International Literacy Association, multimodal on August 5, 2015 by c4tuna. Why isn’t there more digital media literacy research? I took a recent trip to Toronto for the Sport and Society international conference. Intrigued by “the cultural, political, and economic relationships of sport to society” that this knowledge community embraces, I was ready to dive headfirst into a world of sport analysis. And I did. I learned about Australia’s new National Policy on Match Fixing in Sport, 2011, which attempts to eliminate match fixing in three ways: a) Player rules must be clear; b) rules must be enforced; c) educational programs must be implemented; d) there must be mechanisms so officials can come forward Toomey, University of Canterbury, New Zealand). I heard how Brazil is attempting to help its citizens to become less sedentary through a program called “Agita,” in which, if people determine that there is an active health risk, and they become “indignant about other methods of treatment, they will accept physical exercise as a viable alternative” (Matsudo, plenary speaker). There was research about how “being able to identify those with high athletic identity can help to prepare (health workers)… to recognize and/ or treat mental health issues” (Bouchanine, Houston Baptist University). Each of these was fascinating and informative. There were presentations that included references to media representations and language use. I heard how NFL domestic violence incidents have come to be filtered through a “rhetoric of praise and blame,” in which organizations “glorify certain values and push away others,” leaving the victim as “instigator” (Schneider and Tinkleby, Morningside College, Sioux City, USA). I even was part of a session in which the topic was the determination by the Canadian sport industry— clearly a branch of the media—- “whether medicinal marijuana fits with respect to sport sponsorship” (Mansour, University of Ottawa). But what I didn’t hear was an interrogation of sport through digital media literacy research. Sure, several worthwhile presenters included references to media influence. But I believe I was the only researcher who deepened the stakes to suggest a research methodology that would help today’s generation of youth to take critical distance from sports media messages. 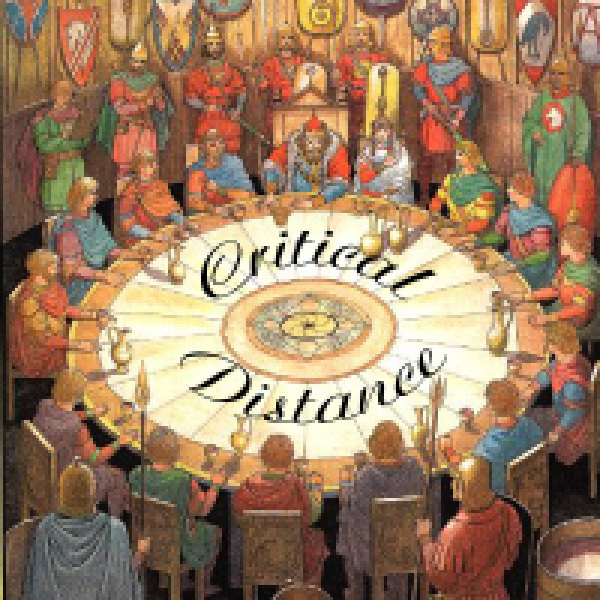 What is “critical distance?” Individuals demonstrate the capacity for critical distance from topics and issues when they show evidence of measured thought, digest multiple possible interpretations, and demonstrate reason around dominant discourse. Digital media literacy can help students to gain the tools to unpack and make sense of ubiquitous sport media messages. The “digital” aspect occurs when individuals Incorporate a combination of digital composing (such as Prezi, Pinterst, Google Drawing, We Video). The “media” analysis involves identifying author, audience, implications, and different possible interpretations. Together, digital media literacy equips student to gain structures that they hold onto well beyond one course or teacher’s influence. So, why don’t more researchers embrace digital media literacy as methodology? The most likely reason is difficulty of access. It’s hard to locate and get permissions from minor students (and their families). And there’s the difficulty of physical access—- you have to be with that particular population of students throughout the entire unit of study, which usually involves a rotating schedule of meeting times. And, honestly, students who are immersed in a research study are a bit unreliable. They’re frequently absent, or their attentions are divided among social, emotional, physical, psychological, and cognitive places. Their enthusiastic responses and engagement one day may be dampened another day by elusive exterior influences. For those of your researchers who are considering an attempt at digital media literacy pedagogy, I say, Go for It! Student reactions to media texts are quite thought-provoking. And, when they take the next step to produce their own media messages, you as a researcher will see the authentic social and cultural impacts that disciplines like sports are making on today’s youth. The results you’ll find will shift the academic discourse with the capacity to look at cultural reproduction of norms, social shifts in ideology, and the pathways to tomorrow’s sociocultural climate. Your impact on research could be really powerful stuff. This entry was posted in digital literacy, digital media literacy research and tagged digital literacy, digital teaching and learning, sports and literature, teacher research on August 3, 2015 by c4tuna. While attending a recent summer workshop, I was surprised to become immersed in debate about the validity of digitally-based classrooms. Isn’t that a topic for last century? Hasn’t President Obama been pushing an agenda so that all schools are connected? Yet a vocal opposition of teachers around me insisted that the digital world is only a passing trend, that it’s only young teachers who are equipped to incorporate digital tools and applications into literacy instruction. I became a bit conscious of my gray roots and wrinkles as I responded. To me, digital literacy and learning should merge in every classroom, everyday, as authentic representations of the ways that today’s adolescents read their worlds. 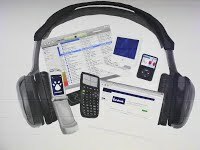 Digital tools offer advantages, sometimes called “affordances” (Boyd, 2010), through access to multiple modalities and participatory culture. But I also understand how individuals who haven’t had a lot of exposure to technology in their personal lives or professional development might be hesitant, even afraid. A teacher who stands before a class of skeptical students is vulnerable. We’re expected to know everything: Common Core content, multiple intelligences, classroom management strategies, formative assessment…. Whew! Who has time for digital applications, anyways? Actually, digital intersections can ease the complex demands of our teaching profession. Technology in the classroom can provide students with individualization, inquiry, and engagement that complement traditional — and proven— methods of literacy learning. It does require taking academic risks, but the rewards can be invigorating. Find a trusted colleague. Learning how to navigate web applications is different than learning from a book. Until you’ve been personally shown the series of steps to, say, set up a blog or transfer a link to a teacher website, the digital world seems daunting. If you have a colleague whom you can trust with the raw truth that you really don’t know Instagram (or Moodle, Google Classroom, the difference among Internet Explorer/ Firefox/ Chrome: the list can be long), you’ve started on the path to digital proficiency. Set up mutually convenient times to meet and exchange ideas. And, who knows? Your colleague likely will inhale your content area expertise in a mutuality of collaboration. Pilot your new digital lesson when the stakes are low. Once you’ve found your digital inroad, it’s time to go live. Figure out where you can embed it into a unit under way cleanly and with supporting activities. 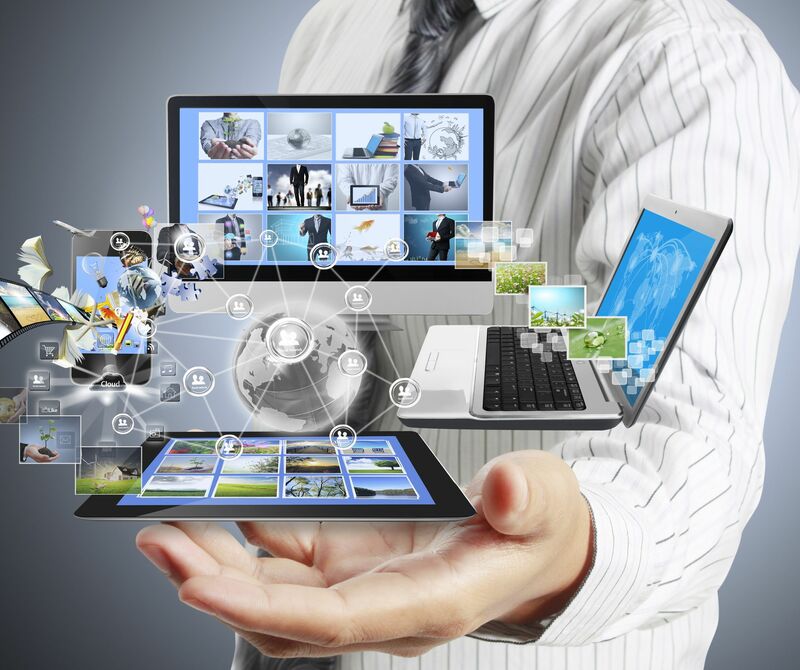 Do you have a class of tech-savvy, invested learners? They’d likely help out if something goes awry. Breathe deeply, reflect, and rededicate. You’ve done it! Your digitally-infused lesson was a roaring success, simply an adequate learning event, or mediocre at best. Whichever the case, it’s time to feel proud of what you attempted and accomplished. But don’t stop there. Be curious about new digital resources, approaches to 21st century pedagogies, and opportunities for continual PD. After all, your digital excursions can open up many new and exhilarating possibilities. danah boyd. (2010). “Social Network Sites as Networked Publics: Affordances, Dynamics, and Implications.” In Networked Self: Identity, Community, and Culture on Social Network Sites (ed. Zizi Papacharissi), pp. 39-58. Carolyn Fortuna, Ph.D. is the recipient of the International Literacy Association’s 2015 grand prize Award for Technology and Reading. She teaches high school English in Franklin, MA and is an adjunct faculty member at Rhode Island College. If you’d like information for your school or non-profit organization about workshops in digital and media literacy and learning, contact Carolyn at c4tuna31@gmail.com. This entry was posted in digital literacy, professional development and tagged digital teaching and learning, multimodal on July 23, 2015 by c4tuna.